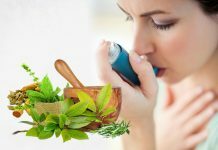 Home ASTHMA What Causes Exercise Induced Asthma And How to Lessen It? 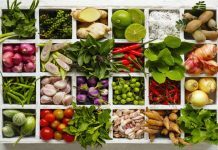 What Causes Exercise Induced Asthma And How to Lessen It? Many people get symptoms of asthma during or after physical exercise. The exercise induced asthma makes you breathless. Exercise induced asthma is coughing, wheezing, and shortness of breath brought on by physical exercise. This is caused by inflammation of the lungs and bronchial tubes. Due to the inflammation, the airways get narrower and breathing becomes difficult. The exercise induced asthma is caused especially in younger people. 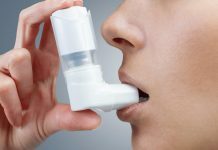 If you get asthma attack when you exercise, asthma is too mild to show up most of the time needing extra provocation from faster breathing to bring it out. The air you breathe during exercise is cold and dry, then the symptoms of asthma will be worse. If the air is warm and moist, the symptoms of asthma will be less worse. This is why exercise induced asthma makes symptoms of asthma worse than swimming. Exercise induced asthma is due to increased breathing during exercise which causes cooling and drying of the lining of the airway passages. That is the reason why warm moist air protects exercise induced asthma. Exercise induced asthma is one of the reason which shows that air passages are being irritated if you are an asthma sufferer. So exercise is one of the many things which can cause narrowing of airways leading to irritability or twitchiness of the airways in asthma sufferers. You have to breathe through your nose while exercising and you should never allow yourself to lose control of your breathing as this will decrease your endurance and reduce your recovery rate. Swimming rather than running, jogging. Many people wear breathing masks during exercise which store heat and moisture from the air they breathe out and return it to the air they breathe in. Don’t exercise outdoors during cold weather. If you have to, wear a mask over your nose and mouth to trap the warm air near your mouth and nose which will in turn help to warm the colder side. Avoid outdoor exercise in the pollen season or when the quality of air is poor to avoid exercise induced asthma. Use a bronchodilator inhaler for about fifteen minutes prior to exercise. This helps in relaxing muscles surrounding bronchial tubes and decreasing the chances of being irritated in your breathing pattern. Warm up exercises are important before starting your exercise workout. Warm up prepares your body for the changes in breathing and can avoid asthma attack. In the same way, you have to cool down once your exercise session is complete. 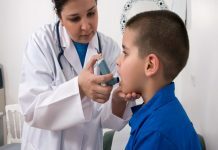 Exercise induced asthma can be used to diagnose asthma in children. Make your child to exercise for five to six minutes in a convenient and safe way to provoke mild asthma attack and this leads to many children getting early and appropriate advice and treatment. 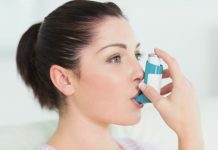 Exercise induced asthma is useful in research of asthma and it can be used for testing effectiveness of new medications which help in treating asthma in future. 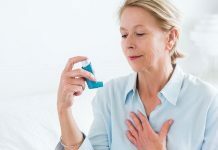 Control asthma attack using preventers or by avoiding causes of asthma attack such as pets, dust mites, and pollen which can trigger exercise induced asthma. One important thing is ordinary asthma drugs used to treat asthma in the recommended dose are acceptable to athletes and sports persons provided if they use correctly. For following correct dosage, consult the doctor and seek his advice.